Happy Friday! 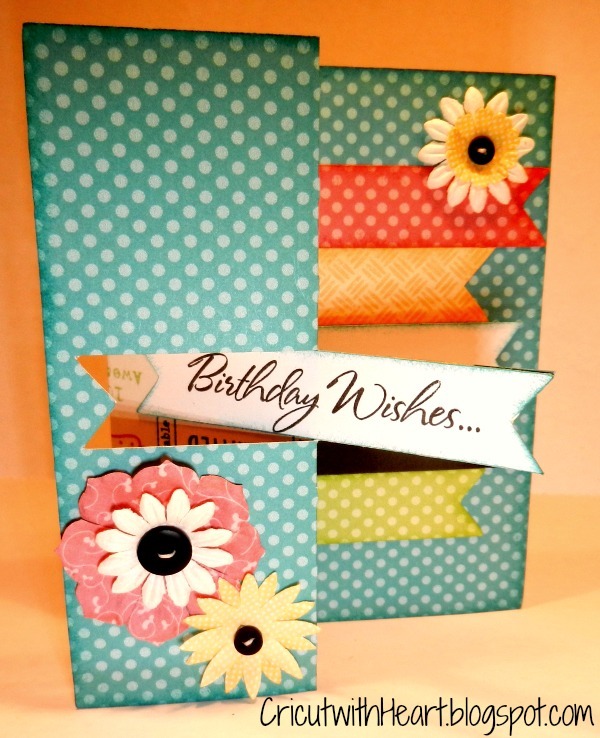 I hope you have plans for a wonderful holiday weekend with a little time set aside for crafting! 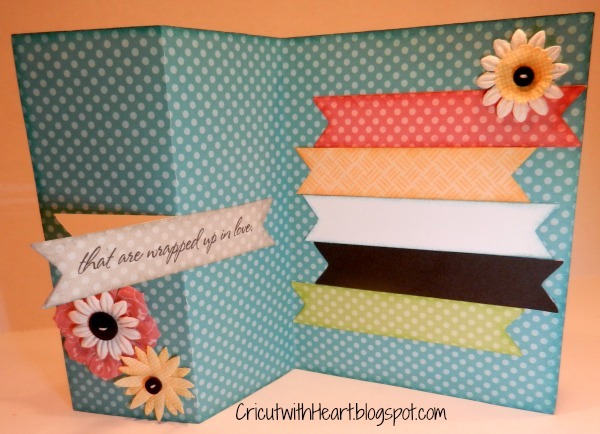 Today I am sharing a fun Banner swing card. 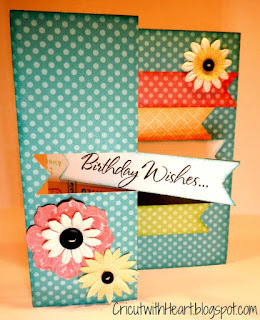 I used the Card Chatter-Birthday Stamp set, this set has so many great sentiments. Check it out. This card is yet another cut on page 52 of the Artiste cartridge. If you don't have your Artiste bundle yet you can securely purchase the collection here on our blog by clicking on the BUY NOW button on the side bar. The bundle includes the Artiste Cartridge (suggested retail price of $ 59.99), Three exclusive Stamp Sets (retail value of $17.95 each), & Three Dimensional Element chipboard sets (retail value of $4.95 each). That is a total recommended retail price of $128.69 for only $99! You are going to LOVE this collection!!! Thanks for stopping by!